In 2001, Paul Wade celebrated a Golden Gloves title win. Following that, he began to focus on training and developing fighters, producing numerous Golden Gloves champions. But boxing in San Francisco had seen better days, and there was a pressing need for an authentic gym. A space on Third Street opened up, and with its concrete walls, iron piping, and low ceilings, it had the look and feel he wanted: a hard space for hard workouts. Sold. Third Street Boxing Gym opened its doors in September of 2003. Today, 3rd Street is home to aspiring amateurs and local pros alike. 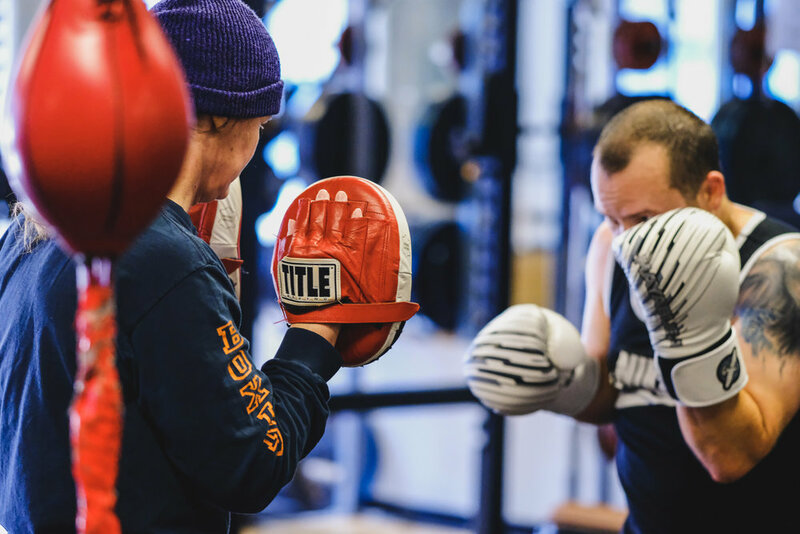 With a friendly atmosphere and classes designed to teach boxing to the masses, we've become home to a growing number of people who recognize the unparalleled benefit of the boxer's workout. School teachers, mothers, stockbrokers, dentists, artists, and lawyers all come to experience and reap the benefits of our expertly guided classes and training. And we're just getting started. Come be a part of it! Take a free Beginners class!